2) Select a Calculation Type. An input table will be created. 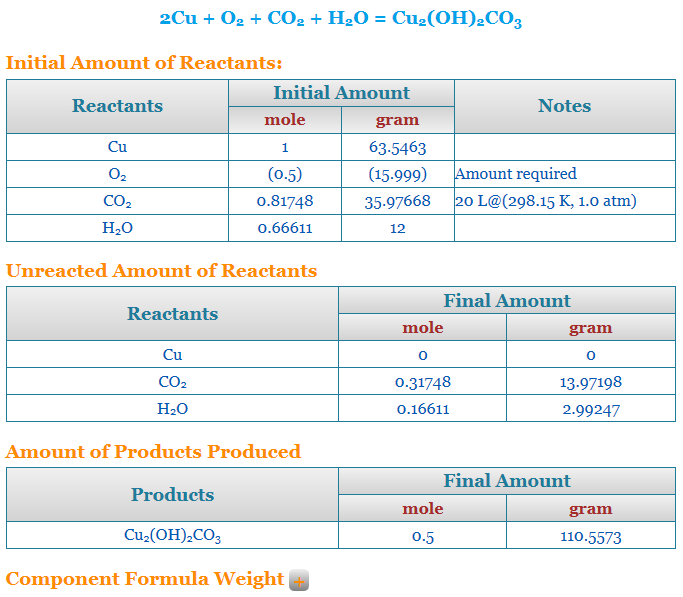 If you have information about one or more reactants, select Reactant Amount Given; Otherwise, select Product Amount Given. 3) Input amount available. Check 'sufficient' box if amount of a reactant is unknown. 4) Click the 'Calculate' button. Calculation results will appear as below.